As the internet expands, so do the threats people and businesses face to securing their sensitive information. Data breaches can expose everything from users’ passwords and names to birth dates, addresses, and Social Security numbers, costing organizations like Yahoo, eBay, Target, and Equifax millions of dollars and irreparably damaged reputations. Even if personal data isn’t exposed, attackers can cripple an organization’s business operations — and especially their bottom lines. Cybercrime represents the fastest growing cause of datacenter outages, according to a 2016 study by the Ponemon Institute, which reports nearly a quarter of downtime coming from malicious intrusions — up from only 2% in 2010. As such, cybersecurity represents one of the fastest growing industries in the world. Making matters worse, the job market can’t keep up. ISACA, the non-profit international organization focused on IT professionals, anticipates a global shortage of 2 million cybersecurity workers by 2019. More than 313,000 cybersecurity jobs remain open in the U.S. alone, which is up roughly 28,000 jobs from 2017, according to CyberSeek. Education and training for these positions, however, is readily available for those looking to seize the opportunity. IT professionals employed in the cybersecurity field in 2013 reported an average annual salary of $116,000 — nearly three times the national median income for full-time workers — according to CIO and the Bureau of Labor Statistics. In addition to the university’s stellar reputation for science, engineering, technology, and computer science education, Purdue University Global tops our list for expertly balancing prominent, rigorous courses with the affordability and flexibility many seek from online degrees. Geared toward giving students the knowledge, skills, and real-world experience needed to excel in the cybersecurity field and attain industry certifications, the university’s undergraduate and graduate degree courses empower students to design secure information systems, evaluate security trends and practices, measure and analyze risk management practices at the enterprise network level. Our two favorite components of Purdue’s degree programs is the opportunity for gaining real-world experience through an optional internship at the end of bachelor’s studies, as well as the accelerated bachelor’s-to-master’s degree program. By earning a minimum grade in certain undergrad classes, students can gain entry into a shortened version of the university’s master’s degrees in information technology or cybersecurity management — further enabling students to save time and money and enter the job market faster. “Our cybersecurity degree program is an example of how we can help organizations meet the demand for highly trained workers in this fast-growing and incredibly fascinating field of study while creating a personalized, high-quality educational experience for students that fits their schedules,” said Dr. Jeffrey Buck, dean of Purdue University Global’s School of Business and Information Technology. Originally established by Syracuse University, Utica College developed a wide-ranging slate of certificate and degree programs that explore cyber operations, computer forensics, intelligence, and information assurance. The National Security Agency, Department of Homeland Security, and Defense Cyber Crime Center all recognize Utica programs for being at the leading edge of cybersecurity training and education. Although each degree program offers several specializations, prospective undergraduate students must either hold an associate’s degree or have earned at least 57 credits from a four-year university before enrolling at Utica. The college partners with several regional and national security organizations to offer networking opportunities and discounts on certification test preparation and exams, among other benefits. According to Austen Givens, Director of the college’s graduate cybersecurity programs, the close partnerships provide real-world insights into the trends, applications, and challenges facing the industry. One of only 20 programs designated by the NSA as a Center of Academic Excellence in Cyber Operations, the University of Arizona offers robust and challenging programs for students interested in defense, law enforcement, and private industry, as well as working professionals looking to gain technical mastery. The bachelor’s program, designed to pair with an associate’s degree or two years of work experience, is divided into two tracks: engineering and computer science, as well as defense and forensics. Graduate studies can focus on information or physical systems. The rigorous master’s degree is built for those with three years of work experience in related fields and draws from the university’s programs in management information systems and electrical and computer engineering, as well as systems and industrial engineering. Interestingly, Arizona created a city inside a virtual environment called CyberApolis to enable students to test and apply their skills in real-world scenarios. More than 15,000 highly detailed personas inhabit CyberApolis, and the environment also boasts a pseudo internet — complete with websites for a bank, hospital, utility companies, social media, retailers, an underground hacker community, and organized crime element. Each site has a full network presence with integrated vulnerabilities that support specific learning objectives. Boasting the widest range of online degree and certificate offerings on our list, the University of Maryland University College has also been recognized by the NSA, DHS, and Defense Cyber Crime Center (DC3). The university’s physical campus is fortuitously located between the Department of Defense’s Cyber Command in Maryland and the Cyber Corridor in Virginia, meaning there is no shortage of innovative employers and cybersecurity experts to help update and guide the curriculum. 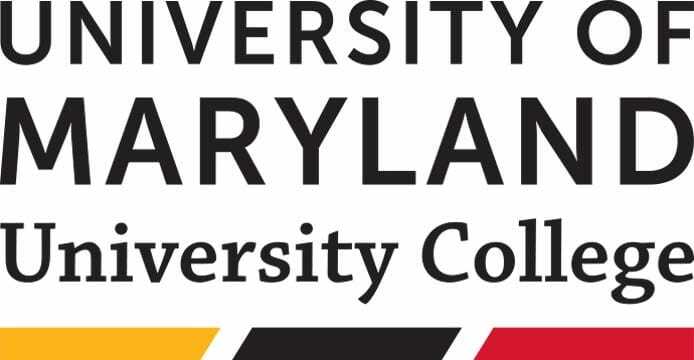 When it comes to hands-on experience, the University of Maryland University College provides a virtual cybersecurity lab to give students the opportunity to attack and defend systems online in a safe, secure, and isolated manner. The environment also helps the university’s Cyber Competition Team, composed of students, faculty, and alumni, prepare for contests involving digital forensics, penetration testing, and computer network defense. Among the largest public universities in the country, Arizona State University ranks in the top 25% of online bachelor’s programs, according to U.S. News and World Report. In addition to homeland security degrees that include classes on cyberterrorism, the university’s information technology degrees emphasize networking and computer system security. Undergrads will spend the last two semesters developing and presenting a project-based solution to a relevant, modern IT security challenge. 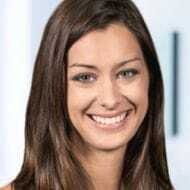 The university’s master’s of computer science degree is offered through an interesting partnership between Arizona State and Coursera, blending the scientific and engineering characteristics of computer science to teach students about artificial intelligence, blockchain, cybersecurity, software engineering, big data, and other topic areas. Lectures are delivered through Coursera, while Arizona State faculty advise and assess students’ work. Originally founded as the Farmers High School of Pennsylvania in 1855, Pennsylvania State University has developed a modern online education program recognized by U.S. News and World Report, the NSA, and DHS. The university’s security and risk analysis degree provides an option for information and cybersecurity that concentrates on the tools and skills needed to design and evaluate protected systems that keep people and information safe. Penn State’s information sciences and technology faculty possess a wide range of backgrounds and expertise, including computer science, engineering, psychology, chemistry, and artificial intelligence. As such, the multidisciplinary master’s degree option combines flexibility with highly relevant curriculum driven by real-world issues and situations where information might be exposed or compromised. A private, regionally accredited nonprofit college based in Burlington, Vermont, Champlain College launched its first online degree programs in the mid-1990s. But don’t let the college’s small footprint concern you — SC Magazine named Champlain the leading cybersecurity program in 2013 and 2015, and the school has been recognized by the NSA, DHS, and DC3 for cyber defense education. We appreciate the college’s focus on flexibility for adult learners, offering six start dates a year and including work experience in the admissions process. Champlain’s degrees are focused on experiential learning, and students will participate in real-world simulations in the college’s virtual laboratory environment. The emphasis on problem-solving rather than simply testing enables students to be better prepared for careers and technology changes. Home to one of the fastest supercomputers on a university campus and among the most powerful supercomputers in the world, the University of Illinois hosts the National Center for Supercomputing Applications. Fortune 50 companies, labs, and universities worldwide use NCSA, and the cybersecurity division of researchers, developers, and specialists protect hundreds of thousands of computational cores, more than 1.5 petabytes of memory, 25 petabytes of disk storage, and 500 petabytes of tape storage. As a Cisco Regional Networking Academy, the university’s computer science and online degree programs have received recognition from the NSA, DHS, and the National Science Foundation’s Center for Systems Security and Information Assurance. To join the bachelor’s program, students must have earned at least a 2.0 GPA for 30 credit hours of freshman- and sophomore-level classes. In addition to tracks focused on data analytics and information architecture, prospective master’s students can pursue a path concentrating on privacy, trust, security, and ethics. No, Johns Hopkins University isn’t just for doctors. The private research university calls for rigorous admissions standards and expensive tuition, but Johns Hopkins is perpetually listed among the most respected universities in the world. The university’s Information Security Institute serves as a focal point for research and educational efforts in information security, assurance, and privacy. Although the university offers a slew of traditional, accelerated, and combined degree programs in computer science, data science, cybersecurity, and security informatics, online learning opportunities are limited to graduate-level programs. In addition to a master’s degree specifically tailored to provide students with the skills to ensure the confidentiality, availability, and integrity of data, Johns Hopkins also provides cybersecurity concentrations as part of its wider computer science and information systems engineering programs. 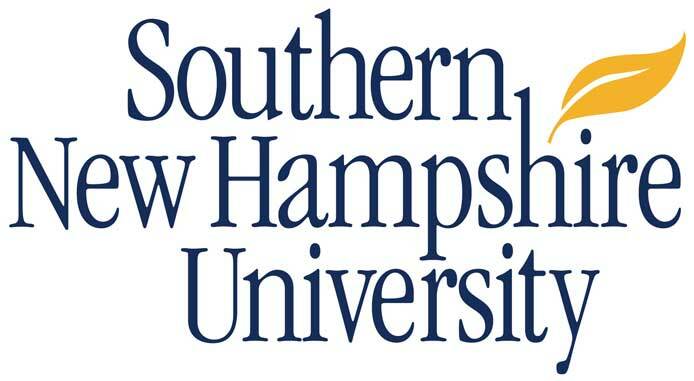 Enrollment at Southern New Hampshire University, one of the country’s fastest-growing universities, has exploded from roughly 8,000 students in 2001 to more than 90,000 today. U.S. News and World Report considers SNHU as the country’s most innovative school for its approach to curriculum, faculty, students, and technology. The university’s cybersecurity curriculum is in line with the National Institute of Standards and Technology’s NICE Cybersecurity Workforce Framework and the Cyber Security Education Consortium, priming students for worthwhile careers in information assurance, web security and privacy, cyber forensics, and risk management. In addition to prioritizing affordability, SNHU students can complete their master’s degree in as few as 15 months or transfer up to 90 credits toward a bachelor’s degree. The only Christian university to make our list, Regent University was originally launched by evangelist Pat Robertson as the Christian Broadcasting Network University. Given the campus’s location near three military bases in Virginia Beach, Virginia, Regent is exceptionally friendly to active duty, reserve, or National Guard personnel, as well as veterans and armed forces families. In addition to being named a National Center of Academic Excellence in Cyber Defense Education by the NSA and DHS, Regent is among only 4% of universities to receive merit from the National Initiative for Cybersecurity Education. The proximity to military and government installations has led Regent’s robust cybersecurity programs. The university’s Institute for Cybersecurity recently launched the Cyber Range training center — the first of its kind at a private university — to provide hands-on training, simulated attack scenarios, and real-time security breaches. Combining affordability with an educational philosophy steeped in preparing graduates for real-world success, Bellevue University is a regionally accredited private institution geared toward serving adult learners (more than 75% of Bellevue undergrads are 25 years old or older). The university’s Center for Cybersecurity Education offers a wide variety of interdisciplinary degrees and resources and is recognized by the Committee on National Security Systems, NSA, and DHS. Students pursuing a degree in cybersecurity can learn on a traditional, course-by-course schedule or as an accelerated cohort, where a group of classmates and peers work through the curriculum and share experiences. At the master’s program level, the traditional format is geared for entry- or mid-level professionals while the cohort route is more useful to workers with experience in IT, managing information systems, or in information security. Offering the only MBA on our list, the Florida Institute of Technology concentrates on advanced cybersecurity graduate degrees that equip students with the skills and knowledge to seamlessly enter the job market. The institute’s information assurance and cybersecurity degree is offered in partnership with the Harris Corporation, a defense contractor and provider of IT services and technology. Lessons incorporate data mining and machine learning methods to attack analysis and forensics. FIT’s broader program in information technology features a cybersecurity specialization that gives learners the fundamental real-world applications of security management, host-based security, and access controls. The MBA program explores cybersecurity as a component of a business’s overall operations and oversight. Educators place emphasis on analyzing policy, trends, and technologies to better anticipate emerging threats and implement cutting-edge solutions. For those looking for a transfer-friendly way to gain a cybersecurity degree, Franklin University enables prospective undergrads to transfer up to 94 previously earned college credits — more than three-quarters of the credits required to graduate. The university is uniquely positioned to serve working adult learners — the average student age is 34, and assistance from admissions, advisors, and faculty is available after 5 p.m. Franklin also features variable course lengths, multiple start dates, and classes one day per week. The curriculum for the university’s cybersecurity program, aligned with key knowledge areas defined by the International Information Systems Security Certification Consortium, includes true-to-life security simulations that build real-world experience and applications of the skills learned. Students will choose a local business or nonprofit organization and assist with their security needs by preparing a security plan and risk assessment and conducting a penetration test and vulnerability scan. Rounding out our list is Saint Louis University, the oldest university west of the Mississippi River. The four-year private Roman Catholic research university was founded in 1818 and offers a variety of online degrees through its School for Professional Studies. The university and its alumni have found impressive success, with 90% of graduates either working or in grad school within six months of earning their degree. Among those, 95% are working in their chosen field. SLU offers six accelerated, eight-week terms each year, meaning students can enjoy the flexibility of choosing a schedule that fits their life the best. Cybersecurity students will explore the theory and applications of designing, deploying, and securing enterprise-grade architecture and applications while learning the fundamentals of computer forensics and ensuring information is fully protected. To compile our list, we compared each program’s curriculum, cost per credit, and the number of credits required to graduate. The overall graduation and job placement rates for universities factored into our rankings, as well as accreditation, awards, and certifications. In addition to consulting U.S. News and World Report and online student reviews, our sources include the National Center for Education Statistics, National Institute of Standards and Technology, Cyber Security Education Consortium, CyberSeek, Indeed, the Bureau of Labor Statistics, CIO, and ISACA.